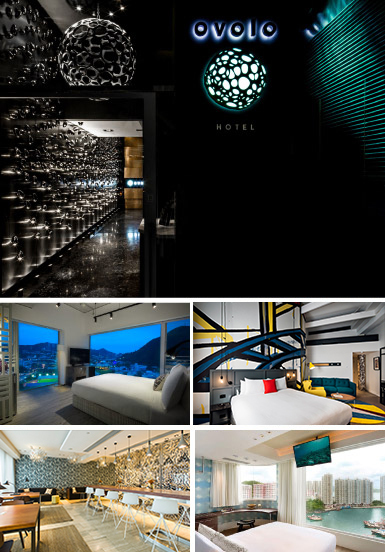 Ovolo Hotels is an independent hospitality company, headquartered in Hong Kong, that own and operate a collection of individually designed lifestyle hotels and serviced apartments. The company keeps in touch with the modern traveller through award-winning interiors, detail-driven comforts, focused all-inclusive services and cutting-edge en-suite technology, all done in signature style. Founded in 2002, Ovolo is a proud Hong Kong brand and remains a family owned and privately operated business with a charitable core. Ovolo now runs five hotels and serviced apartment properties in Hong Kong and three hotels in Australia. With upcoming projects in Australia and others being considered across Asia, Ovolo is taking the brand to a larger, international audience and giving more shiny happy people a chance to enjoy their bright rooms and bright ideas.